EA Sports UFC 3 update 1.04 is now available to download. The free patch adds in new body knee catch animations. There are also several gameplay changes to the action. Other than Snoop Dogg, though, none of the other modes really stand out in a bad or good way. Rather, they just sort of exist and are totally adequate while offering little in terms of unique gameplay. It’s really too bad that EA didn’t attempt to flesh out its mode offerings more, as it still feels lacking compared to THQ’s UFC 3. They should be leveraging the UFC’s history better by allowing players to relive rivalries or at least give them the opportunity to fight in a ring rather than a cage (look, I really miss Pride). Besides dealing with computer-controlled submission attempts, I largely feel that EA Sports UFC 3 is the best playing mixed martial arts game to date. That’s why it was so disappointing to find out that so few of the modes managed to capture my interest. Perhaps it’s more of a statement on the current over-saturation of the UFC, but there’s not a ton of appeal of going into the exhibition mode and seeing meaningless fights play out anymore. I need something more than that, and I don’t feel like either Ultimate Team or the career mode provide it. It’s in the weird position of being a game that I like playing, but one that I’m not drawn to at all. But hey, at least there’s Snoop Dogg. 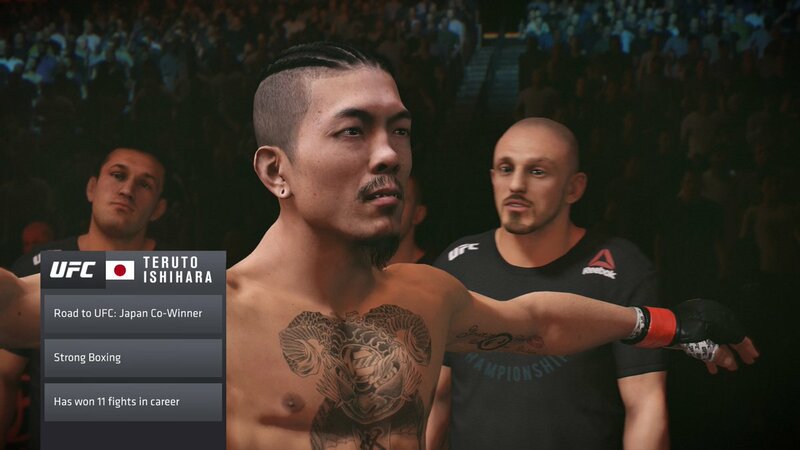 EA Sports UFC 3 update 1.04 is available now.